To boost their agility, relevance and attractiveness to shoppers, retailers are adopting technologies ranging from digital to data. Today’s empowered consumers demand more from retailers. Whether retailers are brick and mortar, online or both, they face a common goal: Delight customers by delivering seamless, Instagram-worthy shopping experiences to drive traffic in stores and online. This daunting goal has made overwhelmed retailers view technology as a strategic necessity to boost their agility, remain relevant and earn customer loyalty. 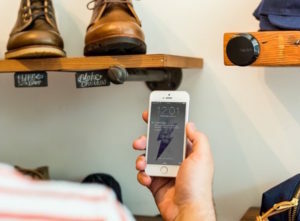 These small pieces of hardware help brick and mortar retailers communicate with nearby shoppers’ smartphone apps. Experts estimate in-store beacons will influence $8 billion worth of retail spending this year by letting retailers send customers personalized mobile coupons and flyers in real time. To leverage this technology, drug store chain Rite Aid rolled out beacons to all 4,500 of its U.S. stores and Target deployed beacons to 50 of its U.S. stores.1BI Intelligence. Consumer packaged goods industry leads the way in beacon-based marketing. Business Insider. May 25, 2016 2Anderson, Duff. Retail Technology: Building a Better Customer Experience. iPerceptions. June 1, 2016. RFID is a small electronic device that offers a unique identifier for a specific product tag, which helps retailers like Target and Zara gather product data for real-time inventory visibility. RFID makes inventory tracking more accurate by signaling how quickly a store’s shelves empty and enabling automatic stock re-ordering.3Bainbridge, Louisa. 10 Hot Retail Technology Trends For 2016. iGeolise. June 2016. IoT lets retailers interconnect in-store smart devices and sensors (including beacons and RFID) with the Internet to make better, data-driven business decisions. Luxury chocolate retailer Godiva uses IoT meters to count shoppers and match staffing to peak hours as well as measure the effectiveness of window displays. McKinsey expects IoT’s significance to grow in retail with an economic impact of $410 billion to $1.2 trillion annually by 2025. 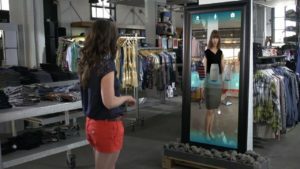 Progressive retailers like Rebecca Minkoff are adding digital mirrors to dressing rooms for a unique, personalized retail experience. This technology records footage of customers from all angles as they turn around and lets them play it back. The mirror also lets customers compare footage of different outfits side by side.6Trotter, Cate. The Best of New York Retail Trends – Part 1. Insider Trends. May 20, 2016. To entice and engage pedestrians before they even enter a store, clothing and accessory brand Kate Spade launched a 24-hour interactive window display in New York. From the sidewalk, customers can browse and buy items using a touchscreen display, with purchased items delivered within one hour.7Williams, Azedeh. 10 brands using digital to create great in-store experiences. CMO. May 31, 2016. For a single source of consumer and product data across “click and mortar” channels, retailers are adopting unified commerce. This omnichannel data integration helps Starbucks centralize data for mobile payment, loyalty points and mobile app for online ordering and in-store pickup. Centralized data gives companies a strategic edge, as “the best retailers don’t really differentiate physical from digital shopping. They offer whatever experience and convenience the shopper demands, when they demand it.”8Frontier(less) Retail. J. Walter Thompson Intelligence. June 15, 2016. For convenient, same-day delivery of e-commerce purchases, Walmart recently invested in partnerships with online transportation network companies Uber, Lyft and Deliv. Their collaborative logistics technology improves the shopping experience, as “consumer expectations are higher than ever for free and fast shipping, making flexibility … more important than ever.”9Emin Wood, Eric. Survival of bricks-and-mortar among B2B firm’s 4 predictions for retail’s future. IT Business. June 9, 2016. Retailers are adopting chat-based marketing and bots, or, robots that simulate human conversation through messaging apps like WhatsApp, Kik and Facebook Messenger. Retail giants Sephora and H&M launched bots to help shoppers browse and buy their products. More people use the top four chat apps than the top four social media apps, and experts expect bot usage to surge 57% to 177 million users by 2019.10Schaefer, Mark W. What Marketers Need to Know About Chat Apps. Harvard Business Review. June 14, 2016. 11Halzack, Andrea. The chatbots are coming — and they want to help you buy stuff. The Washington Post. April 13, 2016. To boost their agility, relevance and attractiveness to shoppers, retailers are adopting technologies ranging from digital to data (and, eventually, drones). All these innovations strive to help retailers go from confused to confident by improving service and deepening their relationships with customers. As Hointer CEO Dr. Nadia Shouraboura elegantly summarized technology’s new role in retail, “Let technology eliminate the annoyances, so customers can focus on the beauty, the feeling, the emotional connection” with your store.12Shouraboura, Dr. Nadia. 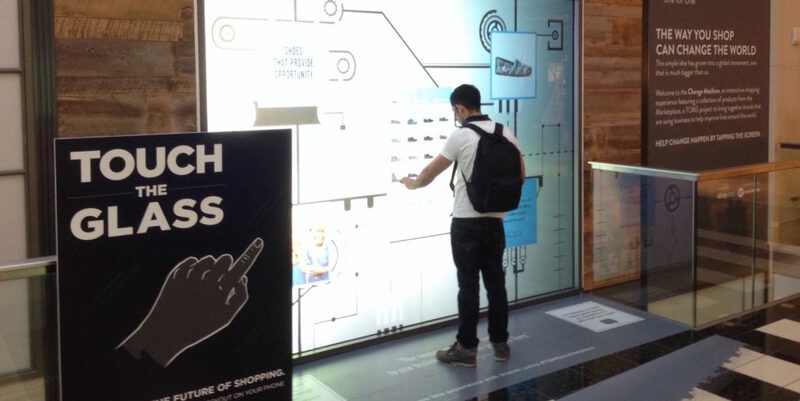 Wearables and Internet of Things: Transforming In-Store Retail. STORE2016 Conference. May 31, 2016. What retailer technology trends would you add? 2. ↑ Anderson, Duff. Retail Technology: Building a Better Customer Experience. iPerceptions. June 1, 2016. 3. ↑ Bainbridge, Louisa. 10 Hot Retail Technology Trends For 2016. iGeolise. June 2016. 4. ↑ Haims, Allan. How to harness the IoT of retail technology. Marketing Land. June 3, 2016. 6. ↑ Trotter, Cate. The Best of New York Retail Trends – Part 1. Insider Trends. May 20, 2016. 7. ↑ Williams, Azedeh. 10 brands using digital to create great in-store experiences. CMO. May 31, 2016. 8. ↑ Frontier(less) Retail. J. Walter Thompson Intelligence. June 15, 2016. 9. ↑ Emin Wood, Eric. Survival of bricks-and-mortar among B2B firm’s 4 predictions for retail’s future. IT Business. June 9, 2016. 10. 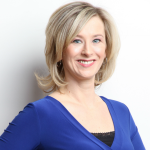 ↑ Schaefer, Mark W. What Marketers Need to Know About Chat Apps. Harvard Business Review. June 14, 2016. 11. ↑ Halzack, Andrea. The chatbots are coming — and they want to help you buy stuff. The Washington Post. April 13, 2016. 12. ↑ Shouraboura, Dr. Nadia. Wearables and Internet of Things: Transforming In-Store Retail. STORE2016 Conference. May 31, 2016. The hard truth of the internet is that if you plan on opening a retail business, you must have a vibrant digital presence, including an online retail store.